The stripe of these boxers is taken from the regimental colours of the Argyll and Sutherland Highlanders. But with all that history, all that tradition, the stripe still looks great today. The modern gentleman may embrace new fabrics and designs, but he always remembers the origins of elegant dress. Our classic boxer short shape is generous for those who prefer more coverage and a looser fit. The waistband is fully elasticated and can be adjusted using the two-button fly. 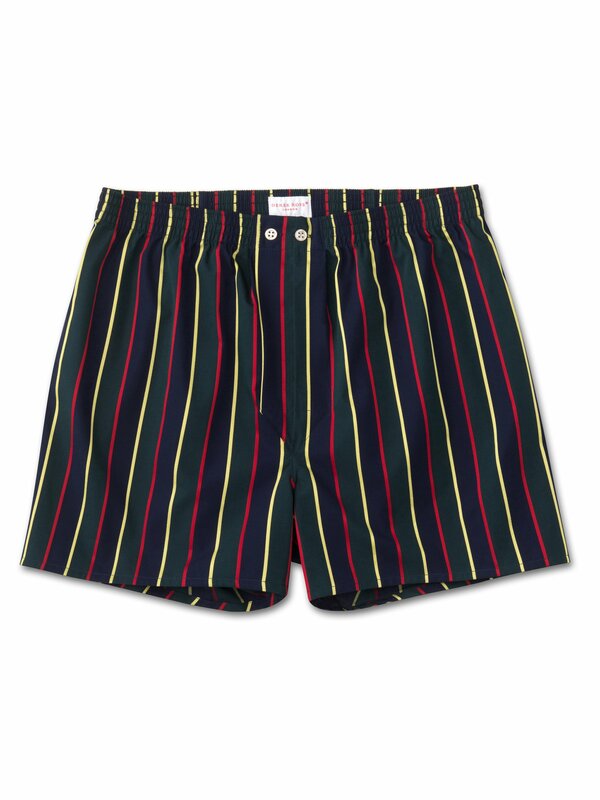 Made from pure cotton with a satin stripe, these boxers have a back panel to avoid the uncomfortable rear centre seam.